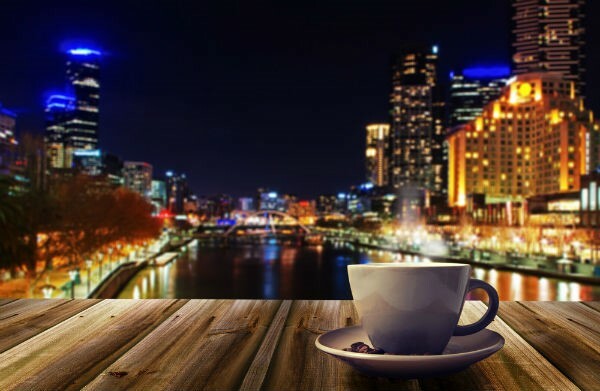 Autumn is considered by many as the best time to visit Melbourne thanks to the plethora of festivals, sporting events and other forms of entertainment on offer, not to mention the city’s famous café culture scene. Here are 6 of the many reasons why you simply must experience Melbourne in autumn. Melbourne’s café culture has become so prominent and unique that it has turned into an attraction in itself. Whether you drink coffee, tea, chai or pumpkin spice lattes, you will love getting lost in the café-lined laneways of Melbourne’s CBD as you sip away your worries. The Yarra Valley is one of Australia’s most famous wine-producing regions and home to over 80 different wineries. Soul-stirring landscapes, world class wines, and fresh seasonal produce await you, just an hour’s drive from the city centre. Another seriously scenic destination located an hour outside the CBD is the hill-top haven that is the Dandenong Ranges. From glorious gardens and romantic hideaways to wildlife encounters and the century-old Puffing Billy, this remarkable region is an ideal place to spend days if not weeks during the cooler months. The Melbourne Museum represents a great way to spend at least half a day learning about Melbourne, whilst having a lot of fun. The whole family will enjoy immersing themselves in education, history and culture. The new Pauline Gandel Children’s Gallery, designed for children from birth to age five is an extraordinary space where kids can explore, learn, and play. If you have little ones under 5 this is certainly a Melbourne attraction not to be missed. Two of the best places to enjoy the stunning shades of the autumn foliage are the Royal Botanic Gardens located in the city centre and in the south-eastern suburb of Cranbourne. Boasting a wealth of rare and threatened plants, the gardens are the perfect place for a picnic, a leisurely stroll or the chance to learn about Australia’s diverse flora. Renowned for its breathtaking autumn hues, the holiday township of Bright is a fantastic place to enjoy at this time of year. What better way to experience the beauty of Victoria’s Alpine High Country than 10 days of music, markets, food, and brightly-coloured floats at the annual Bright Autumn Festival, beginning on 28 April. Melbourne on the Move host a number of exciting day tours such as our Yarra Valley, Puffing Billy and Healesville Day Tour. However, you can also design your own Melbourne Day Out by taking advantage of our convenient Melbourne bus hire service and let our experienced drivers get you to each stop on your itinerary in style.